Sacred Shift Journeys ~ : Peru Nov 2013 Good Cosmic Family Intergalactic Conference + Tours with Shamans. UFO Watches. Peru Nov 2013 Good Cosmic Family Intergalactic Conference + Tours with Shamans. UFO Watches. Registration closed for this trip. Pre-conference trip features initiations and sacred mysteries of Machu Picchu and the Sacred Valley. Includes an Intergalactic Conference at Lake Titicaca with contactees, lectures and nightly UFO sky watches. Visit the most sacred and mysterious places in all the Andes mountains and Peru with initiated shamans and authentic storytellers from these ancient cultures. Post Conference trip – fly over the mysterious Nazca Lines and hear from shamans and scholars about this mysterious place. UFO watch. This Tour is in 3 parts. You may take 1, 2, or all 3 parts. You are warmly and cordially invited to join us in the Eternal City of Peru in November of 2013. The portal at Lake Titicaca is called the eternal city because it connects you directly with the eternal cosmic heartbeat. Join us and an extraordinary collection of human researchers, guides, guardians, angels, and brothers and sisters of other worlds, friends and family members of light from the higher dimensions and our human family as we congregate to explore the universal oneness we all share in the vibrant rhythm of the cosmic heartbeat. Meet those who are so connected and hear them talk about it. Many prominent UFO researchers from several countries will report their own sightings, experiences, and findings. We will spend time under the living skies at Lake Titicaca in the evening - actively putting out a call to connect with our beloved family from these other worlds - these higher dimensions. Speakers at the conference will also discussing their journeys, their contacts, and what it all means in the greater cosmic scheme of things, and how it has, and will affect our unfolding life here on planet earth both individually and collectively. Shamans will be leading us at the sacred energy spots in energetic initiations to open our awareness and sensitivity to these subtler and higher dimensions. Included in the roundup of cosmically connected speakers are an internationally respected group of UFO researchers, a contactee, an initiate into the Great Andean White Brotherhood, and those who have given their life to understanding and communicating with intelligences from other dimensions. We hold you in the Creator's Light and hope you can join us! Celestial beings, Human Beings, and Extraterrestrial Beings are all found at the Lake Titicaca portal in Peru. · Retreat of the Masters from superior dimensions and intergalactic portals. In this dawn of the new era, our hearts and our minds are awakening for offering our service to the evolution of all life. If you feel the call to be of service as a "bridge person" - to help humanity come to know of these beings and their gifts, this conference is for you. We aim to expand our own consciousness as well as that of our fellow humans. A bridge person also connects their own heart and mind with their higher divine self. This Eternal City invites us now to join together and communicate with our brother and sister colleagues from other worlds. This joining of our force fields will help create a new energy paradigm on our planet to assist and be of service to our fellow beings. At this conference, we will hear from those who have made these conscious connections and are willing to share their experiences, insight, and knowledge with us who are also so called. The COMPLETE tour comprises Parts 1, 2, and 3. Take as many parts as you wish. · Sky Watch every night. Our projected list of international speakers includes those known for sharing their experiences with beings from other worlds. Design your own tour to connect with the multi-dimensional energies of Peru. We can design specialized budget to luxury tours for you or your group focusing on your interests and energy levels - short or long trips. Meet with local guides, shamans, power places as fits your interest while traveling with internationally renowned mystical sacred site traveler, author and speaker Pat Crosby. 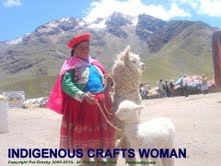 Learn the mysteries of Machu Pichu, Lake Titicaca, the Peruvian Pyramids, Nazca lines... etc... cultural exchanges - visit or stay overnight on an indigenous island... Visit 5000 year old Peruvian cities, 2 mile high mountain peaks, natural parks .... as your choose. Questions? Contact. Upcoming November 2013 trip. Are you interested in journeying in Peru with a spiritual tour guide? Private customized trips created just for you in alignment with your soul journey. 2013 March Equinox Trip ~ Connecting the Lemurian, Crystalline and Galactic Grids at the Lake Titicaca galactic portal. 2013 NOVEMBER ~ Intergalactic Council Meeting ~ Meeting our Cosmic Neighbors in the Portal. Travel with local shamans to power spots in the portal. Attend a shamans' conference on the presence of ET's and inter-dimensional civilizations at the Lake Titicaca portal in Peru. Pat Crosby presented her experiences with the Spirit Guides of Lake Titicaca. Organized by Jorge Luis Delgado. Lake Titicaca is the real power transformation place on this trip. The work we will be doing there is the purpose of the trip. The portal at Lake Titicaca is immense and connects the whole galaxy with the cosmos. 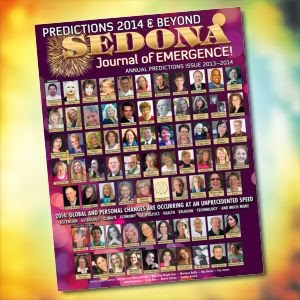 Our personal group and planetary transformation experiences there will be immensely profound. The work here is essential to a smooth unfolding of the Shift on planet earth. The work here will open galactic doorways of communication to receive knowledge and communication from higher realms to assist humanity in navigating the great shift in consciousness. 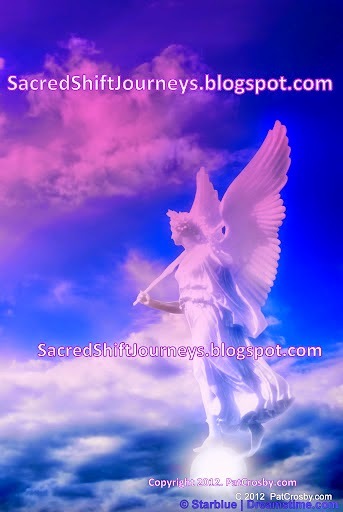 Want to Create your Own Sacred Shift Journey? On this sacred voyage of rediscovery and remembering, we will be re-activating energetic grid and power lines from ancient Lemuria, activating them with our spirit guidance, and assisting in connecting them to the crystalline Christ grid lines and the Galactic grid lines. These newly activated grid lines will allow the flow of higher consciousness wisdom and experience into the earth plane from higher civilizations that have already shifted. They will be able to share their knowledge with earth through these reactivated circuits. You will be in planetary and galactic service in helping to anchor and enlarge the Lemurian grid lines ~ which carry the transducing loving power of Lemuria into our dimensions. The MARCH 2013 EQUINOX Sacred Shift Journey was successfully completed. Peru: Lake Titicaca, Machu Picchu, Nazca Lines. Our trip includes sacred portal visits ~ including the Lemurian Doorway, channeling, ceremony, meditation, and initiations and knowledge from local shamans. This trip is in conjunction with renowned Peruvian spiritual guide Lois Delgado and local authentic shamans. The NOVEMBER 2013 trip focused on the inter-dimensional and galactic cosmic good neighbors available to meet in the Lake Titicaca portal. Extra optional segments included visiting Machu Picchu and the Sacred Valley,and the astounding mysterious Nazca lines ~ in the company of our local powerful and loving shamans. Want to create your own sacred shift journey? Where would you like to go? We can help you remember your soul purpose and connection to sacred sites and re-activate your memories and help you be of divine service in these amazing places. Whether this is your first trip or 30th trip to Peru, this journey will take you ~ and our group of souls ~ to the next level in our personal, group, planetary and galactic evolution. If you've been waiting to journey to fabled Peru, or already have the basics or even advanced tours under your belt - you will ascend to a new level of empowerment and ability to love and create the life you dream of having from the energies we contact during this tour. We will be working closely with spiritual guidance to take us all to the next level of planetary unfolding. You can also call in the assistance and working arrangement with your own spirits and guides that you work with. Perhaps new guides will come into your awareness, too, as you enter this new phase of personal unfolding that going on this very special journey of awakening will open in your life. The Year of Mastery in the Shift of the Ages. Whenever we catch ourselves caught up in an old reflex of anything other than unconditional love, it is a MOMENT TO HEAL by just turning inward and asking the universe for the tools and help to come to each of us to clear the accumulated soot of planetary garbage out of our hearts, minds, systems. Though this healing, we can each become stronger vessels for the flooding streams of light to penetrate through the clouds of smog on this planet, and create the new golden age of love and peace we are all working to co-create." Let us follow the journey of Lemurian light to the sacred portals of Peru. 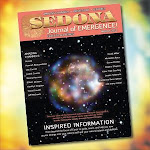 Sacred sites and portals are places where the veil is thin and where we can more easily connect with the delicate, strong and powerful quantum energies of other dimensions and realities. The galactic portals of Lake Titicaca and Machu Picchu are doorways into other dimensions. In these portals in Peru we will meet, explore, and co-create the renewal of ancient grid lines to facilitate intergalactic communication and guidance. Re-activation of these grid lines in Peru is essential to support Mother Earn and humanity during the ascension process.